One thing we in Oregon are not lacking in right now is water. It has been raining - a lot! 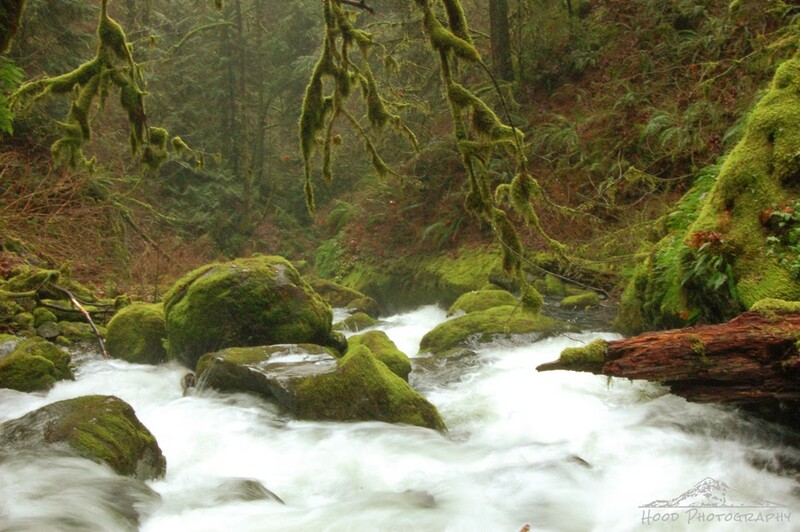 This is McCord Creek just below Elowah Falls. I was standing on a large rock in the middle of the creek and was dizzy with the whitewater surge all around me. A superb capture indeed and how gorgeous it is!! I do love waterfalls!! Thanks for sharing the beauty! Oh boy, send some of that AGUA our way. The Sacramento Valley is in dire need of water. They are seriously talking about mandatory water rationing soon. Oh gosh! I'm afraid I would have slipped and fallen in. What a gorgeous shot! The moss is gorgeous and it is that lovely shade of green.